To enter postgraduate study (doctoral studies) of American universities is not so difficult as it might seem at first glance. For this, it is not necessary to have an American Master’s degree. You can go for a doctoral degree after your local university bachelor’s degree. It is essential only to observe certain conditions. The most crucial requirement for candidates for a doctoral degree is a reliable and well-founded motivation. This applies to postgraduate education in general. The future graduate student must confirm his motivation by documenting the Statement of Research Interests (or Research Statement, Statement of Purpose). This is a motivational letter or essay, which emphasizes already conducted research related to scientific work, the results obtained and the further goals that the candidate wants to achieve by studying in graduate school. A huge role is paid to the students scientific work at university. This is perhaps the most critical document for the admission. Also, in addition to information on personal qualities, knowledge, skills and experience, it is necessary to indicate why the graduate student is interested in this field of science. It is also important to note how the future PhD plans to apply the results of scientific research to the society as a whole and the native country in particular. If the student conducted no scientific work, an excellent motivating factor could be the already acquired experience in the specialty. Then, in the motivation letter, you can describe the professional achievements, goals and prospects and indicate how the doctor’s degree helps solve professional problems. It is important: you can apply for a place in the postgraduate study only for the specialty (discipline) that was studied at the institution where the scientific work or professional experience was conducted, or on the related specialty (discipline). Otherwise, the selection committee may find the candidate not motivated enough for postgraduate studies and having no logical grounds for doing so. For admission, the future graduate student will have to pass one of the standardized tests – GRE, GMAT and others. They are aimed at determining the level of knowledge in a particular field. If a candidate has not previously studied at an American university, in addition to these tests, you will need to pass an international exam in English (TOEFL or IELTS) and get a certificate with a sufficient passing grade. The next essential document is the transcript. This is an appendix to the diploma with a list of subjects studied and grades. The transcript should contain detailed information about the disciplines, the content of each course, the number of hours allocated for considering it, and so on. The educational institution issues the transcript that the candidate has completed, with the appropriate signatures and seals, and sent to the US by regular mail. This document, like the diploma itself, must be translated into English and notarized. The set of documents must contain letters of recommendation from university teachers, scientific leaders or employers, describing the merits and advantages of the future graduate student as a specialist in a specific field, his achievements, and so on. Letters of recommendation must be obtained from persons who are directly related to the discipline chosen for study. Do not ignore all the other achievements: certificates, certificates and diplomas on the completion of courses and other educational programs, publications in scientific publications and so on. However, if none of the candidates has a candidate, this will not become an obstacle to admission. The American education system provides an opportunity to enter post-graduate courses immediately after receiving a bachelor’s degree. Not for all specialties, but only for technical ones. So, the graduate of the baccalaureate with the B.Tech diploma, B.E. (Bachelor in Engineering) and some other technical disciplines, if desired, can immediately continue to study in graduate school, having missed two years of magistracy, subject to all other conditions (scientific work, exams, letters of recommendation). Students of all other faculties will have to graduate from the magistracy before becoming a graduate student. 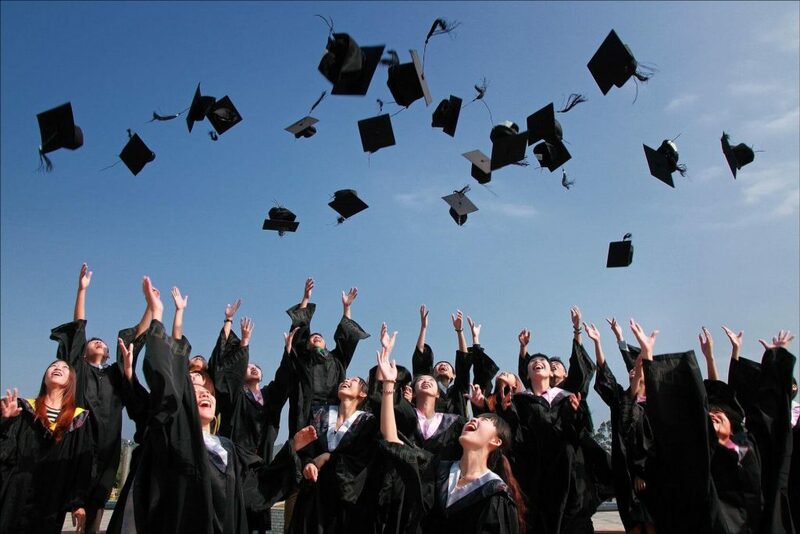 In this there is a plus: firstly, there is time to determine the field of scientific research and start working on research, and secondly, loans in some subjects can be counted in graduate school, which will save time and money, since these courses are no longer will have to be added to the curriculum. The future graduate student is not limited in the number of universities to which he can simultaneously submit documents. But it is worth bearing in mind that for the procedure of their consideration it is necessary to pay a fee (in any US educational institution for any training program) that does not return if the candidate was not accepted or refused to enroll in the university. That is, if documents are submitted to five universities, then the student must pay five contributions costing from $ 40 to $ 100 each. For the graduate school, there are two terms of submission of documents: early and ordinary. The early one is December-January, the usual is the beginning of March. As a rule, the result of consideration of documents is announced on April 15. Training in doctoral studies usually takes 4-5 years. In the first two years, the graduate student studies the compulsory and recommended subjects, as well as additional courses of choice. At the end of the second session, he must decide on the topic of the dissertation and find a scientific leader. The third academic year is allotted for final oral and written examinations on the passed disciplines. Depending on the educational institution, curriculum and specialty, the number of tests can be different. On average, there are four: two for the primary discipline (major) and two for the minor. The fourth and fifth years are entirely devoted to research, publications and to write a dissertation. By the end of the fourth or fifth year, the thesis must be written and protected. After that, the doctoral degree (PhD) is awarded to the post-graduate student. It happens that a graduate student does not have time to write a dissertation or defend himself on time. In this case, he can extend his studies in graduate school. A large number of scholarships and grants are available for applicants for a doctoral degree. They are granted for four years, after which you can apply for an extension of funding for another two. The maximum period for which a graduate student can receive financial assistance is six years. By the way, not always the application for the allocation of an additional grant for two years is decided in favor of the student. With the same success, the petition can be satisfied entirely or partially or wholly rejected. For example, they can grant a grant for only one additional year. Those who can not defend the doctor’s degree even after five or six years, the subsequent postgraduate studies will have to continue at their own expense. All about Statement of Research Interests: how to write about what, its structure, style and so on (on the example of Cornell University). Previous ArticleAssistantships at the US UniversitiesNext ArticleStar Career: Where to Study Astronomy?